Buried in St Mary’s churchyard, Mary Noel Streatfeild drew on her own experience in the theatre to write novels about young people struggling with careers in the performing arts. Many of these have been published with the word ‘Shoes’ in the title. The most famous is ‘Ballet Shoes’, which was made into a film featuring Harry Potter star, Emma Watson. Other titles include ‘Circus Shoes’, ‘Theatre Shoes’, ‘Movie Shoes’ and ‘Tennis Shoes’. Noel was Rowley Atterbury’s aunt (see below). She helped his printing firm to get an assignment from The Mermaid Theatre in London. To read more about Noel Streatfeild’s life and career, click here. In the early 1950s an old man in Crockham Hill crafted a puppet which soon became fondly recognized by millions of children as Andy Pandy. This endearing TV character was created by Freda Lingstrom (Head of BBC Children’s Television) and Maria Bird, and the popular series was repeated to so many generations of children that, in the 1970s, the original film literally wore out. Freda and Maria had both lost their fiancées in the war and lived together at Chartwell Cottage. 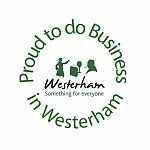 Through their company, Westerham Arts Films, they went on to write and produce other popular puppet series such as ‘The Flowerpot Men’ and ‘The Woodentops’. To read more about Freda Lingstrom’s career click here. To find out about the children’s TV character, Andy Pandy, click here. 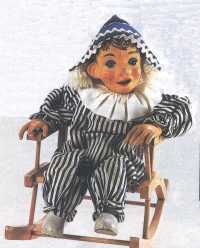 Audrey Rowley, following a chance meeting on a train with Freda Lingstrom, was invited to work as a puppeteer and was soon bringing characters like Andy Pandy to life. Later she worked on the popular Rubovian Legend series. She later became an expert in ceramics, working in Christie’s salesrooms. To read more about Audrey’s career and range of interests, click here. Audrey’s husband, Rowley Atterbury, worked as a typographer and printer using innovative techniques. In 1950 he founded the Westerham Press, employing some of the most advanced colour-reproduction techniques as well as implementing forward-looking management practices. To find out more about Rowley’s life and achievements, click here.